Today a video tutorial was released by youtube user BarclaysCycle, the tutorial consists of how to use the upcoming Barclays Cycle Hire and provides various tips on what you should do with your bike in various situations. A very well thought out video in my opinion. What do you think? Cycle Hire App are creating an iPhone application that will display the locations of the hire stations across London and it looks like they will have some great features that including allowing you to plan ahead of your trips with finding the nearest stations to tourist attractions. 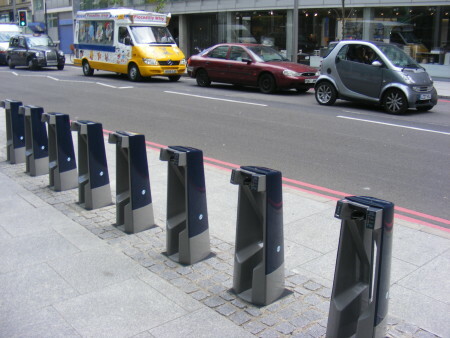 Cycle Hire App have published the information they have got from TFL regarding the planned locations of the Cycle Hire Stations. This information is available from here.